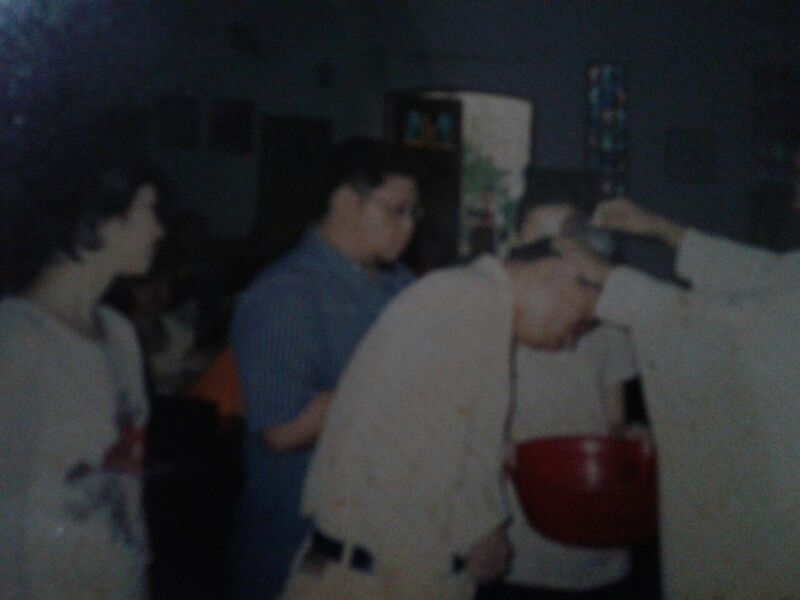 Friday, 19 September 2014 marked the exact ten years since I received the Holy Sacrament of Baptism on Sunday, 19 September 2004. 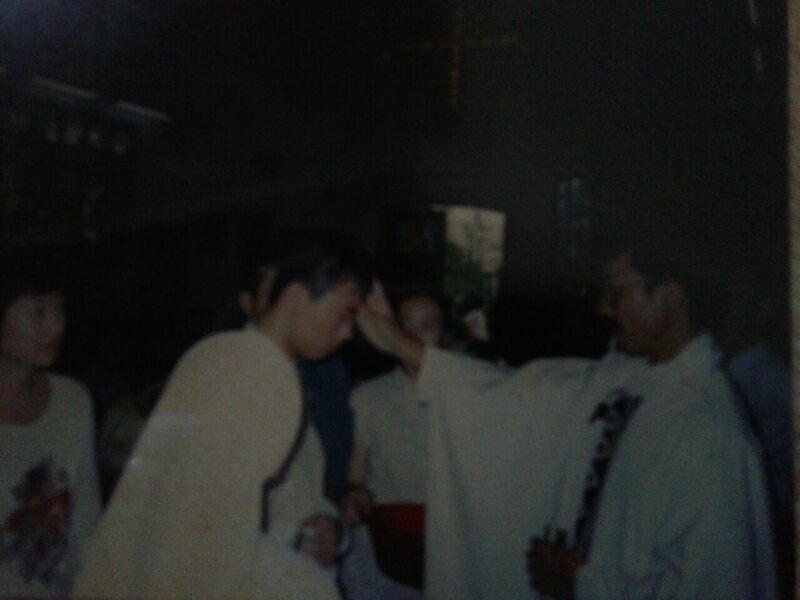 With this, I renewed my profession of faith before the Holy Gospels, and I ask that all of you will pray for me, that I will continue to grow stronger and deeper in faith, in hope and in love. 100,000 views for my blog! Thanks to all the visitors and Praise be to God! 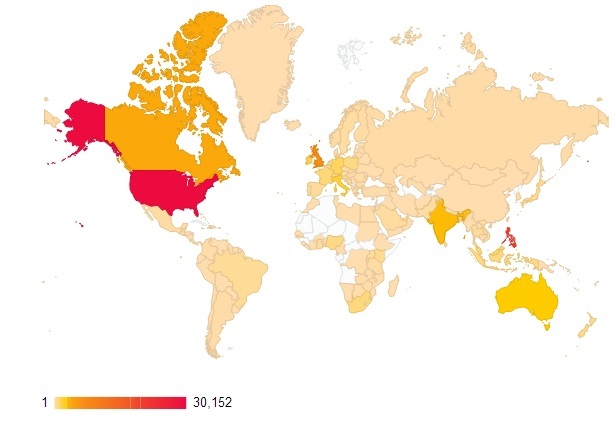 As of last Sunday, 7 July 2014, my blog has reached its 100,000th view by visitors from different parts of the world. I thank all those who had spent their time to come and read what I had published in this blog. May God be with us all, bless us and guide us always. And may He guide me and bless me so that I can continue to write, to publish and to work for His greater glory. Brethren, those who trust in the Lord shall not fail, but those who trust only in themselves, and in their own feeble human power, shall fail. Those who places their trust in the Lord shall not be disappointed. After all, have God ever disappointed us thus far? If we think that God did disappoint us at some point of time in the past, let us take some time and reflect. We often say or think that the Lord does nothing for us, or that we became angry when we asked God for something, and yet we did not get it. We became disappointed in God and no longer put our trust in Him. Many in our world today certainly think so. That is why they prefer their own intellect and reason to the trust and faith in the Lord. They prefer to believe in their own achievements and glories, shutting themselves from the Lord. This is just as how many people in our world becoming proud of their life achievements. I am sure you have met in your lives, people who boast of their wealth, the number of cars and credit cards that they possess, and the countless amenities they have in their homes, the comfortable lifestyle that they lead in life. And they do not give thanks to the Lord who had blessed them with these kindness and graces. Thus, the Lord forsakes them and they have no part in the salvation that the Lord grants to all who believe in Him. If we want to be part of the Lord’s glory at the end of time, then we ought to follow Him, obey Him, and show Him our love and dedication, just as He had loved us and dedicated Himself to us. But this is not all that is there to it. Even among us who believe and trust in the Lord, we cannot just be idle and be ignorant of the laws and precepts of the Lord. We cannot proclaim that we are the disciples and children of the Lord and yet our actions show otherwise. We cannot be hypocrites who only keep our faith in words and yet no concrete actions to support our faith. Yes, brethren, for a faith made only with the profession of the mouth is like that of a house without firm foundations, built on the shaky sand. Once a storm and flood comes by, the weakly built home will fall down and stumble. Such are also the things that happened to many people in the world today. Their faith in God is not supported by firm and concrete actions. Their faith can even be said as to be only on paper. That is why, many of our brethren in faith, while they confess the Lord as their God, they do not practice their faith in their daily actions. They believe in things contrary to the faith and to the laws of God. I can give you many examples of such hypocrisy. There are many who belong to the Church, and do things such as abortion, murder, lies, and many other things against the teachings of the Lord. They are those who built their house on unstable and shaky grounds, those who are heading towards doom instead of salvation in the Lord. That is because their faith is essentially dead. We have to truly believe in what we believe, that we have a truly living and concrete faith. In that way, our house will be built on secure ground, strong and secure against any kind of obstructions or distractions. Today, I also would like to recall something which had happened two years ago. A fellow schoolmate from my Alma Mater passed away today, exactly two years ago, at a young age of a teenager. He was a victim of violent acts, which rightly still ravage many parts of our world today. He was a good and loving person, a child of God no less. That he was taken from us because of unfortunate occurrence, served as a reminder, how, even though we have our faith in God, there are still so many things that we can do, and we need to do. Taking the example of violence, which took away this young person’s life prematurely, we have to see that violence is a failure to achieve peace, and hatred is likewise a failure to love. We may think that, oh, that is another’s actions, why should I be bothered? And why should it have any impact on me? No, brethren, this is not the way we should think or act. That is because, any act of violence or hatred means that we have partially failed in acting and living out our faith. I would also like to relate this to the story of Nelson Mandela, the great fighter for human rights in South Africa, who passed away just today at the age of 95. Nelson Mandela is an inspiration for all of us, brothers and sisters, because he did not condone violence and hatred, even in order to achieve his agenda, to bring equality to the African people in South Africa. He preferred ways of peace and love, that is the way of the Lord, and even though he languished for more than two decades in prison, he did not give up his ways. Had Nelson Mandela resorted to violence and hatred, the South Africa as we know today may have been very different. Civil war, killing fields, and all others, which we saw too commonly happening in many countries, which history had been marred by violence and hatred. Instead, Nelson Mandela was respected, firstly because of his stand against the discriminatory and racist policy of Apartheid, but also because he championed the way of peace and love, exactly how we should do as well, if we are truly faithful in God. Our faith cannot remain as mere words, but have to be translated into our actions as well. Hence, brothers and sisters in Christ, as we pray for the souls of these departed ones, and remembering how many people in the past had faithfully been following the ways of the Lord, not only in words but also in concrete actions, let us today heed from the warnings of the Lord, on the need for us to re-orientate our lives, so that we will conform more to the teachings of the Lord. We cannot be half-hearted in our faith in God. We have to dedicate ourselves, through none other than exercising love, both for God and for our fellow mankind, in all of our actions, words, and deeds. Profess our faith in the Lord, and show it with real action. Be wise like those who built their house on solid ground. Yes, build our house with the foundation of strong faith in God. With God as our base and foundation, we shall never falter. God is always with us. May God shine His graces upon us, bless us, and make us prosper beyond our imagination, and strengthen our faith in Him, now and forever. Amen. On the Vatican photo website above you can find the pictures of each and every one of the Cardinal-electors, in fact all 117 of them, including Cardinal Julius Darmaatmadja of Indonesia who will not be attending the Conclave due to health problems and failing eyesight, and Cardinal Edwin Frederick O’ Brien of Scotland, UK, who will not be attending the Conclave due to serious allegations against him. In my personal opinion, why our beloved Pope Benedict XVI, now Pope Emeritus Benedict XVI, had decided to step down from his position and relinquish the Papacy, is because of three main factors and events that potentially play major roles in shaping his decision. All of these factors are tied to the first factor, that is his health. 1. Health : The Pope’s failing health due to his old age is likely the main reason why he had decided to relinquish the Papacy. Although indeed, he is now at 85 being much more vigorous as compared to Blessed Pope John Paul II’s last years, but as the Pope has great tasks to be done, for the sake of the Lord, and His people, Pope Benedict chose humility and step aside for someone else to take over the good works he had started. He realised that his increasing difficulty in walking, most likely due to osteoarthritis and the problems with his vision will eventually impair him and preventing him from exercising his ministry as the Bishop of Rome. It has also been reported that Pope Benedict too suffers from Parkinson’s, although likely a mild one or one that is still at an early stage. This disease is well known for the one that debilitated Blessed Pope John Paul II, and Pope Benedict, being very close to the previous Pope, would really want to avoid another of many years of debilitation, where the Pope instead of leading directly the Church, had to delegate most of his works due to his disabilities. It is a matter of choice of course. Blessed John Paul II chose to persevere to show us how suffering for the sake of the Lord is like, and our beloved Benedict XVI stepped down to show us what humility and virtue is like. 2. WYD (World Youth Day) 2013 : The World Youth Day has been scheduled to occur in July 2013. It would have been in 2014, but because it will be held in Brazil, which will host the World Cup event in 2014, it was decided to hold the World Youth Day a year earlier. As the Pope’s health has made doctors to advise him strongly against transatlantic and difficult journeys, which would have limited him from visiting any countries outside of Europe, or even Italy in the coming years. In 2012, his visits had been limited to Mexico, Cuba, and Lebanon, with only two major visits as opposed to the usual four or five visits per year, a clear sign that the Pope’s health is increasingly frail to travel far beyond Rome. As the World Youth Day 2013 will be held in Rio de Janeiro, Brazil, it is also possible that our beloved Benedict XVI chose to step aside that a more capable and vigorous new Pope can go instead to the event, that the new Pope can fully lead the event without the disabilities that increasingly had debilitated our beloved Benedict XVI. 3. Asia, the Church in Asia : Although Pope Benedict XVI had been known as someone who is particularly very attentive to the problems that the Church is facing in Europe and the West in general, which resulted in his numerous visits to the countries mostly in Europe, but he has also made several visits to countries in Latin America and Africa. Many would have criticised him for leaving out Asia, as although Middle Eastern countries like Jordan, Lebanon, Turkey and Israel had been visited rather often in his short pontificate, but he had yet to visit South Asia, Southeast Asia, and East Asia, where the Church, just as in Africa, had been growing very, very rapidly. The Pope in fact, loved the Church in Asia, particularly the Church in China, which he had tirelessly worked at, in order that the believers in Christ there can be fully reintegrated into the One Body of the Universal Church, free from any form of external and governmental interventions. Azerbaijan in Central Asia, was the last country in Central Asia visited by a Pope in 2002. But to truly look into Asia, we should go deeper into South Asia, that is India, and further east. The last time a Pope visited India and South Asia was in 1999 or 14 years ago, and the last time a Pope visited Southeast Asia was in 1995 (World Youth Day 1995, Manila, Philippines) or 18 years ago; and for East Asia, the last Papal visit was to Korea in 1989 or 24 years ago. Several countries in Asia such as Singapore, Indonesia, Korea, Philippines, and some other Asian countries had also been graced with Papal visits only once or twice in the entire history of the Church, also owing to the recent expansion of the Church to Asia and that only beginning with Pope Paul VI, that the Pope began to travel again outside Rome and Italy after quite some time. Therefore, due to Pope Benedict XVI’s love for the Church, both in the elder Europe and the younger Church in Asia, and already that his debilitation had made him difficult to make transatlantic visits, including the upcoming World Youth Day in Brazil, but a travel plan to Asia would have made it much more difficult. 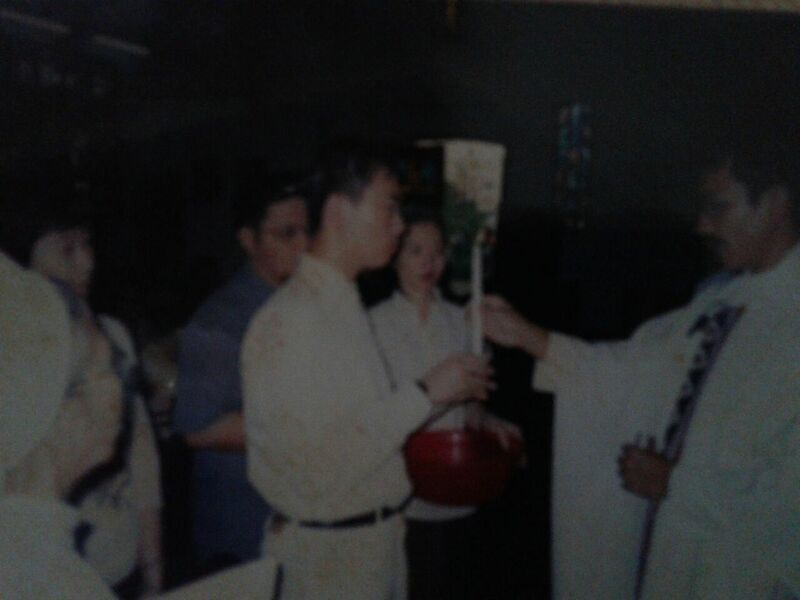 A younger and healthier Pope therefore will be able to visit Asia (South, Southeast, East Asia) perhaps as early as this year or next year, 2014. This is however not to say that an Asian Pope will be elected, just yet. The time has not come yet in this election for an Asian Pope. Only in the next election, which hopefully will be held in about a decade from now or more, that the first Asian Pope may be possibly elected. In the end, it is Pope Benedict XVI’s love for God, and God’s people in the Church that made him to decide to step aside for the good of the Church and the good of God’s mission in this world. However, this is not at all interpreted that it will be permanently so or that such a stepping down will be customary for the Popes. The Papacy is not an office, and not an institution, which for example like the Archbishop of Canterbury of the Anglicans, which is rotated after every number of years in manner akin to the secular and the worldly prime ministers and presidents. No, the Bishop of Rome’s position, as Christ’s only Vicar on this world is far beyond that. Only the Pope himself can decide when and if he will resign at all, and only in extreme cases should this be done. Let us all pray therefore for our beloved Pope Emeritus, His Holiness Benedict XVI, that God will continue to look after him in his retirement, that through his new life dedicated in prayer, he can lead the Church with the new Pope, his successor, whom we also pray for, to fight against the evils of this world. We also pray for those who attack the Pope, the institution of our Church, and those who attack the faithful in Christ, that first we forgive them, and ask the Lord to enlighten their hearts, that they will learn the truth about His Church and its teachings, that they too will believe and be saved through the One, Holy, Catholic, and Apostolic Church. May God bless all of us, bless His One and Universal Church, and bless the whole world. Amen!